Eyepos is an attractive ergonomic Eftpos backlit stand that has a provision on the front for advertising transparency. Eyepos Promo Stands is the manufacturer of this one of a kind stands they also organise the advertising. Shine was asked to design the brand, business stationery, promotional material and website. Project: Name Brand and Business Stationery design. Format: Business Cards, Compliment Slips and Letterhead. Brief: To design a name and brand image for both the company and product. The brand needed to be funky to reflect the modern product which was one of a kind. Solution: The ‘look and feel’ was created by an overall simplistic modern style. The outlined text imitates the coloured overlaid perspex the product is constructed with. Brief: To apply the brand to the website. Keeping the overall ‘look’ consistent at the same time showcasing the product. Solution: Linking images colours and fonts keep in with the brand and create an overall simplistic modern layout and navigation. 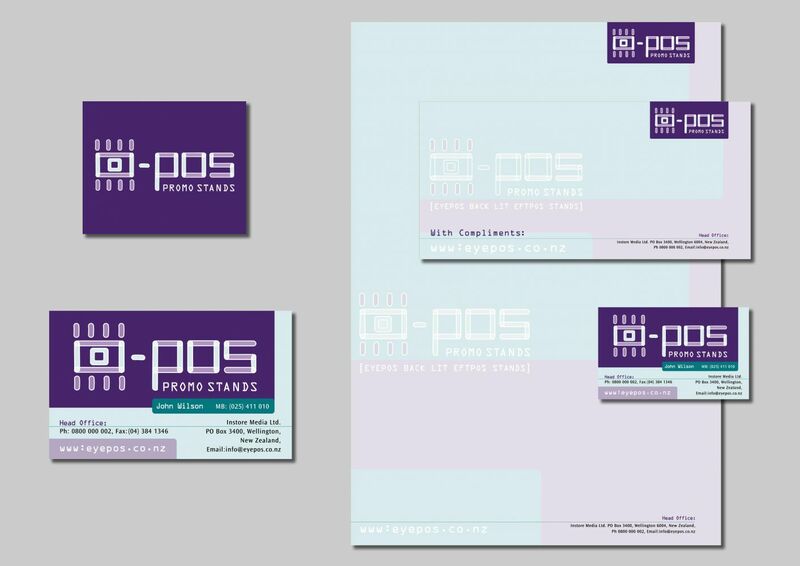 Interest is created in the product section as the Eyepos product shots appear to swivel when the colour swatches are clicked. This allows potential customers to see the product from different sides. 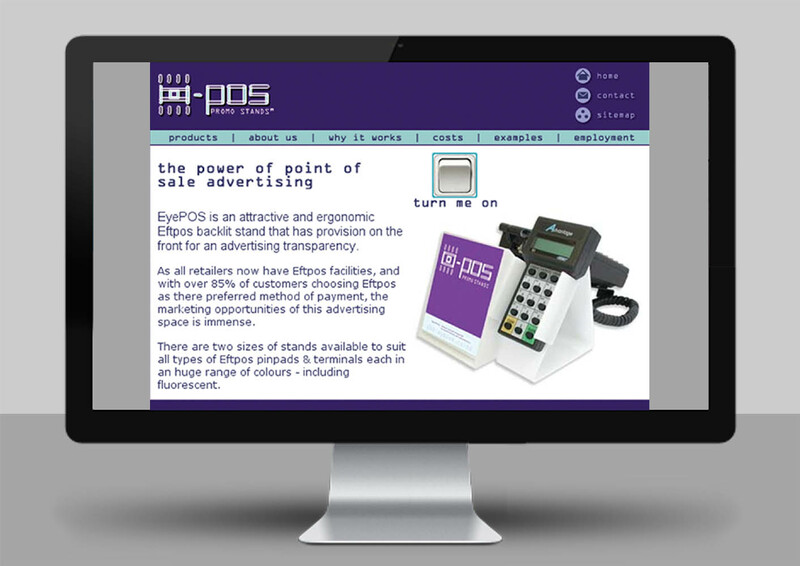 There is an on-off button on the home page when switched on the image of the Eyepos stand changes to an illuminated one.